Plenty of jeers have been aimed at Apple’s as-yet unreleased AirPods, the fully wireless Bluetooth earphones announced at the iPhone 7 event. But you can bet plenty of iPhone owners will be eager to buy them, whether their iPhone has a headphone jack or not. When Apple makes a move, everyone takes notice — including entrepreneurs like Jack Kim, who is banking on wireless earbuds being the next big thing. Kim reckons that Apple is bringing the fully wireless earbud category into the mainstream, and he may be right. There are already piles of them making their way to market this year, including many from crowdfunding sites like Kickstarter and Indiegogo. They may have a fighting chance, too. The AirPods are tiny, and thanks to the lack of a tether, they’ll be easy to lose. They will also need to be stored in a charging container, which will need to be charged after every 24 hours of use, and the AirPods themselves after every five hours of use. They are not expected to sound significantly better than Apple’s regular EarPods, or at least, Apple has not made any claims that they will. And they will cost a cool $159. This adds up to a big opportunity for anyone who can provide a good alternative. According to Kim, now is the perfect time to try to capitalize on this momentum with a competitive product that places a heavy emphasis on brand. 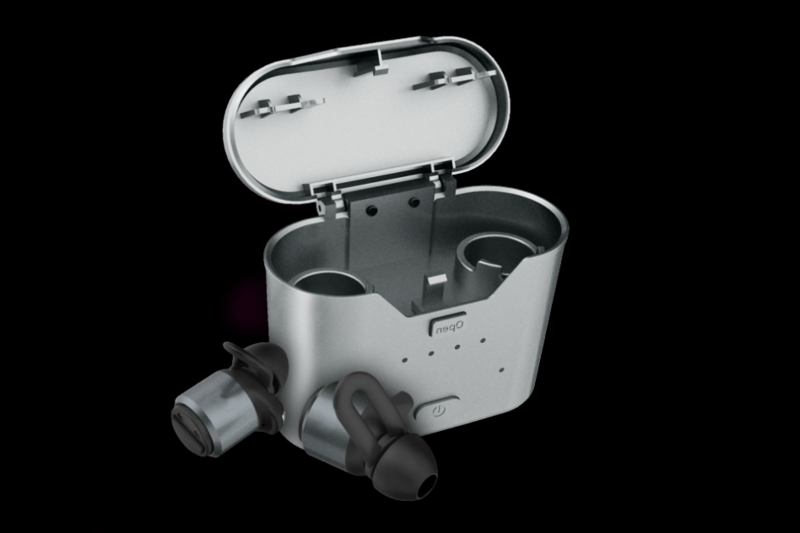 His solution is his $89 AirPod competitor, the Aero Flux. The Aero Flux may be half the price of Apple’s AirPods, but will potential buyers actually compare these two products? Kim’s confidence is somewhat audacious given that he freely admits to having no experience with hardware products prior to his short-lived experiment selling used PC laptops as ready-to-run Hackintoshes. But hardware experience isn’t necessarily a requirement when you’re buying off-the-shelf components from China and reselling them under your own brand. 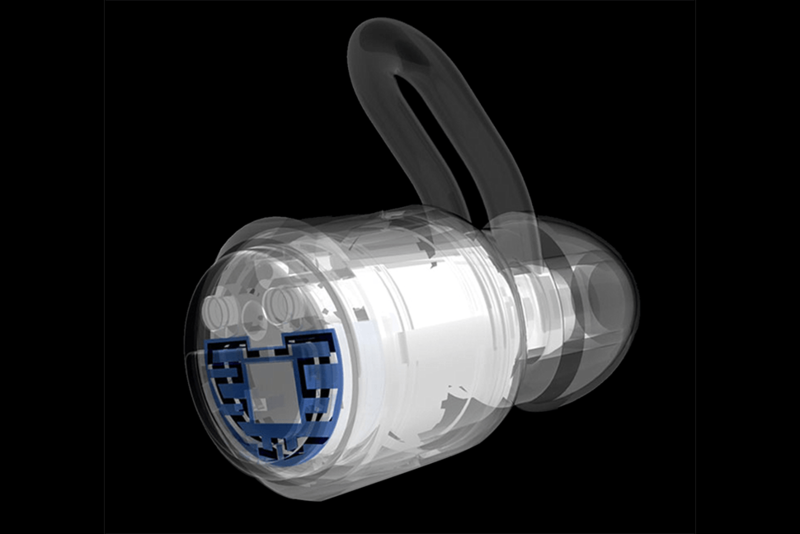 The good news for Kim and his prospective Flux customers is that Bradshaw liked the Jabees earbuds, though he noted dropped Bluetooth signals and call quality were issues: “Making and receiving calls on these earbuds is almost a no go,” he wrote. “The thing that I’m selling is the experience, the design, and the customer support,” Kim said. Customer support, as it turns out, amounts to a hassle-free returns policy. If you don’t like your Aero Flux earbuds, just send them back for a full refund. Kim’s cost on the Flux is so low, he said he might be willing to let unhappy customers keep the earbuds and not bother shipping them back, something which would just cost Kim more money. “It comes with insurance,” he said. Actual technical support will likely be hard to come by if you buy the Aero Flux. After all, Kim isn’t a hardware guy, something that became very clear when we pressed him on the Flux’s full tech specs and whether it supports Bluetooth codecs like Qualcomm’s aptX, which promises to offer near-CD resolution wireless sound for compatible devices. “That’s the first I’ve heard of it,” he said, despite the fact that aptX is rapidly becoming standard in the wireless headphone space. He described the Flux’s sound quality as “pretty good,” but then added a qualifier: “Sound isn’t as good as a Bose earphone,” pointing to the pair of Bose in-ear units he was using for our Skype session. “Compared to these, it lacks a lot.” What does the Aero Flux offer? Four hours of playback or talk time, which can be extended to 16 hours via the charging case’s battery, a water-resistant design, and something the pre-order page refers to as “AeroBoost,” which claims to give the Flux two times more bass boost than other earphones, though that claim is tough to qualify. Ultimately, he hopes this will give him the financial leeway to stop slapping the Aero brand on existing OEM products and start working on ODM (original design manufacturer) relationships to build products according to his own specs. If you’re feeling skittish about dropping $89 for a product that has no reviews, from a brand that didn’t exist until a few weeks ago, Kim thinks you should consider that most of the other Chinese-made products that sell really well on Amazon started the same way.